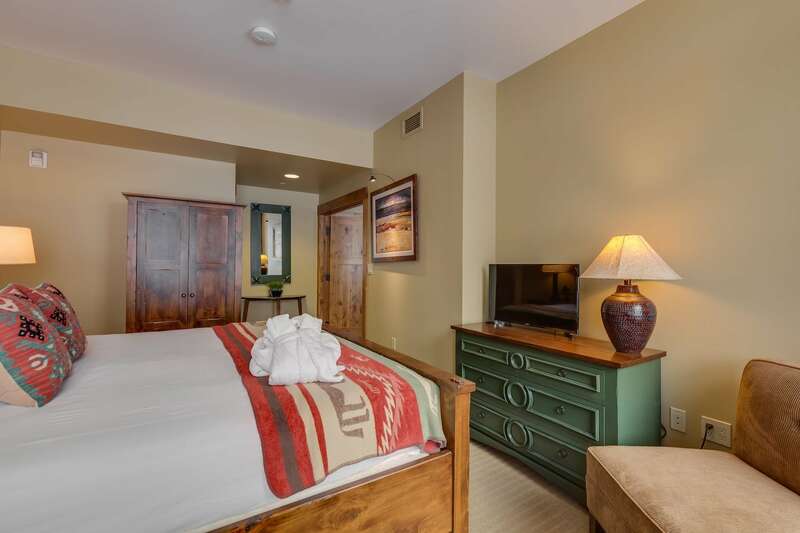 Appointed with a king bed and private full bath, the master bedroom is comfortable enough to call home. 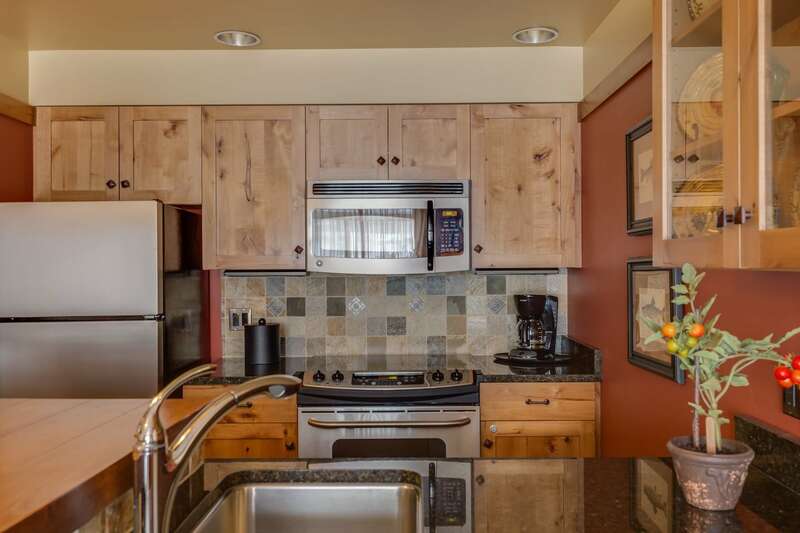 It opens up to a combination living room with gas fireplace, dining area, and a fully equipped kitchen. 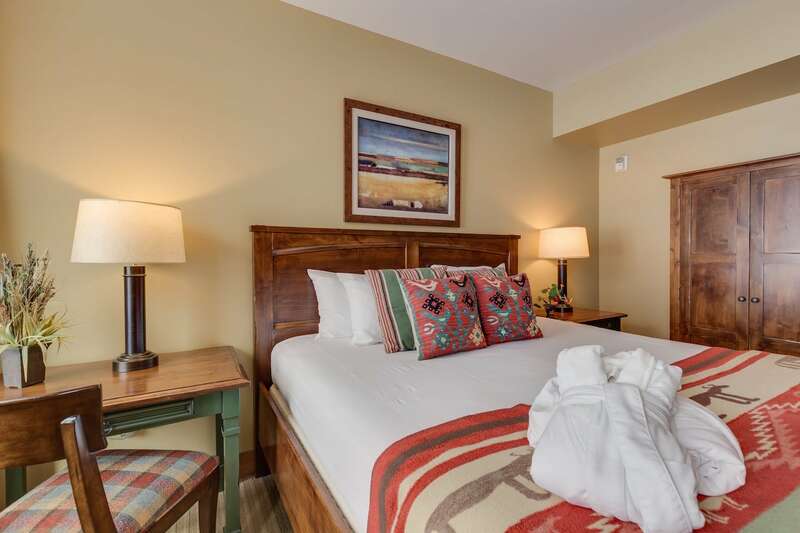 Additional sleeping room is available on a Swedish Sico bed (a luxury Murphy style bed that pulls out of the wall) in the living area. 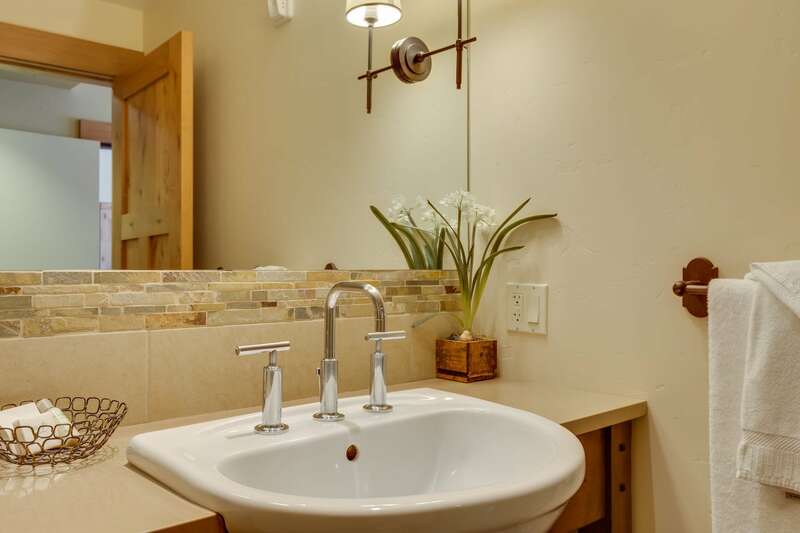 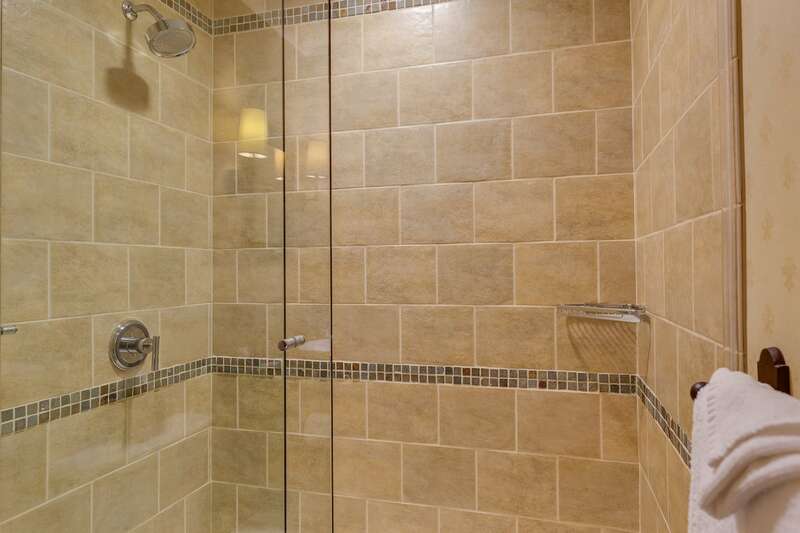 A second full bath with European tiled shower-stall is located off the kitchen. 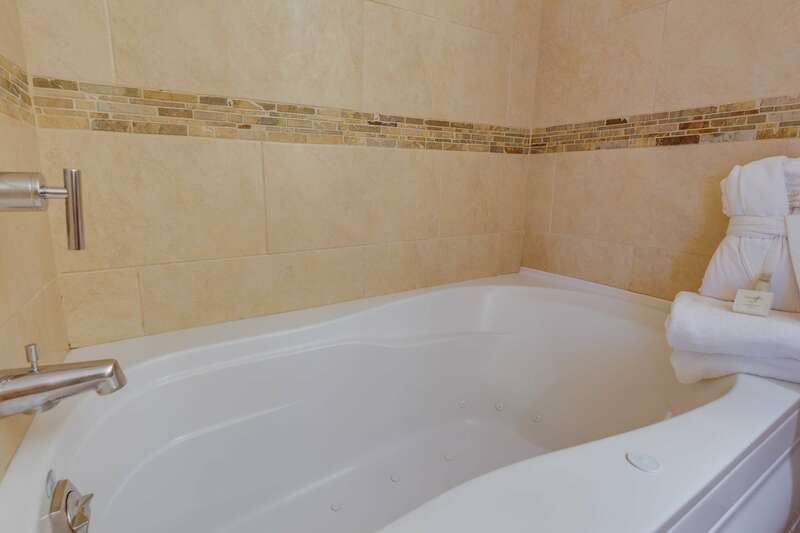 The second bedroom has two queen beds with another jetted tub private bath. 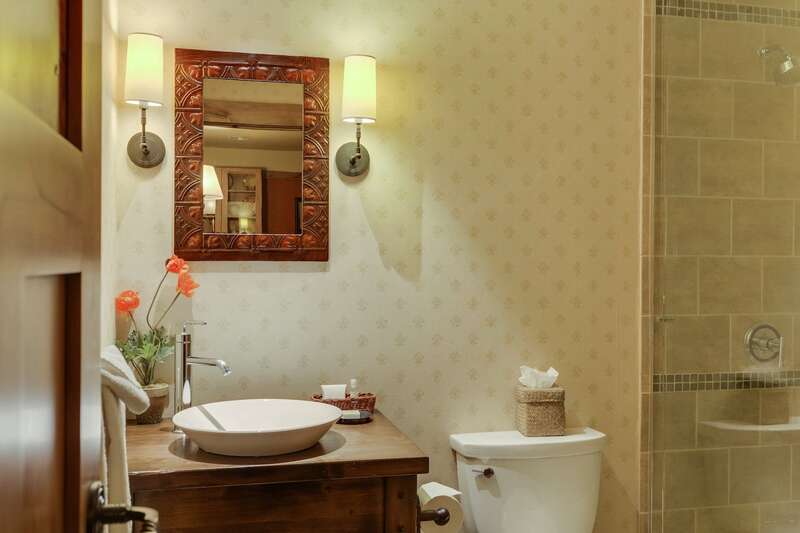 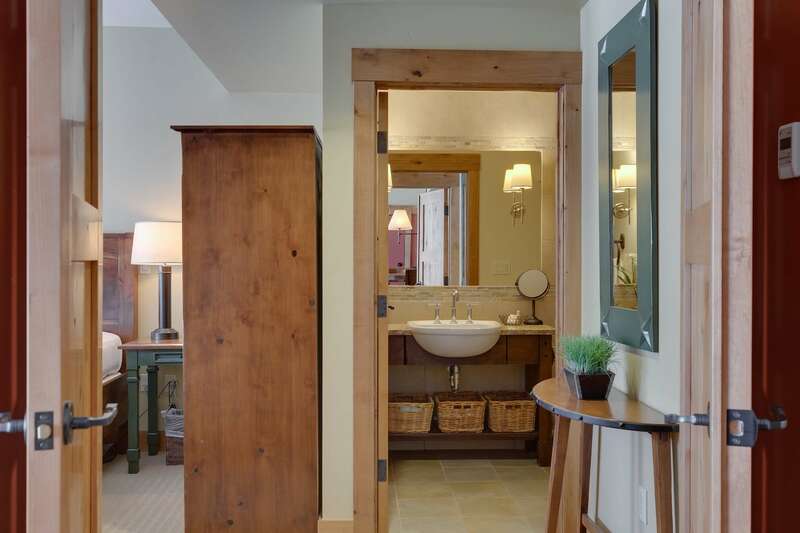 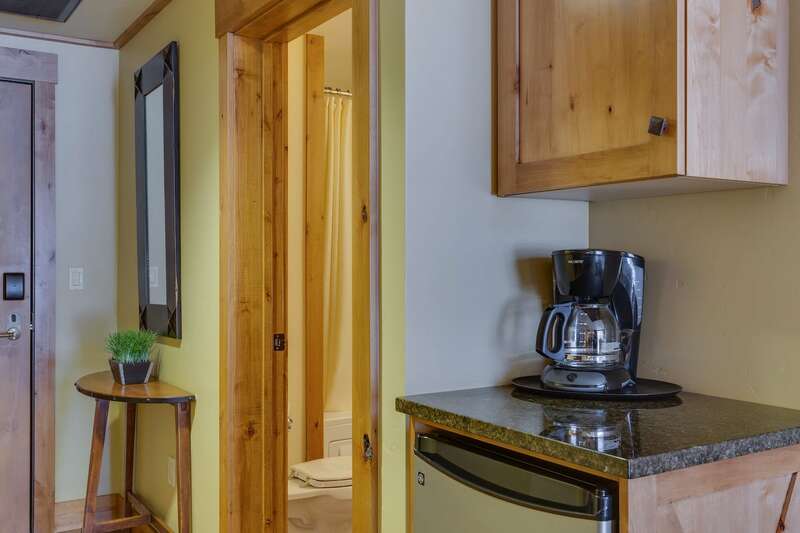 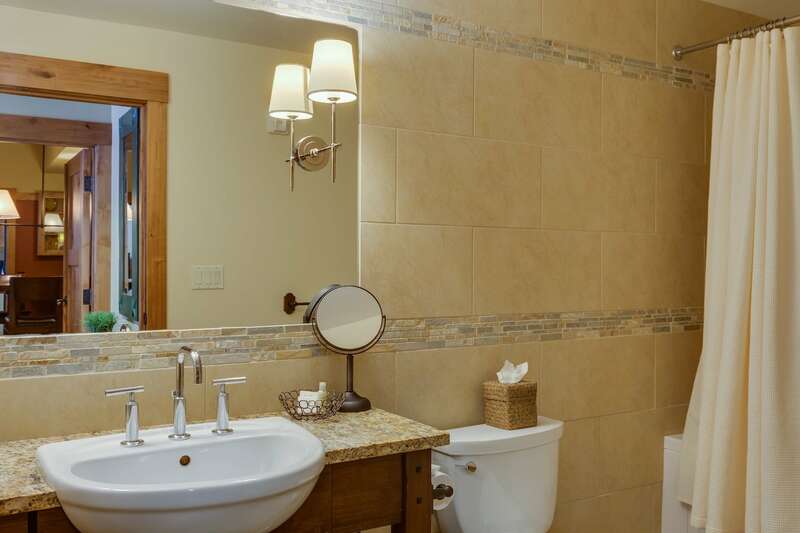 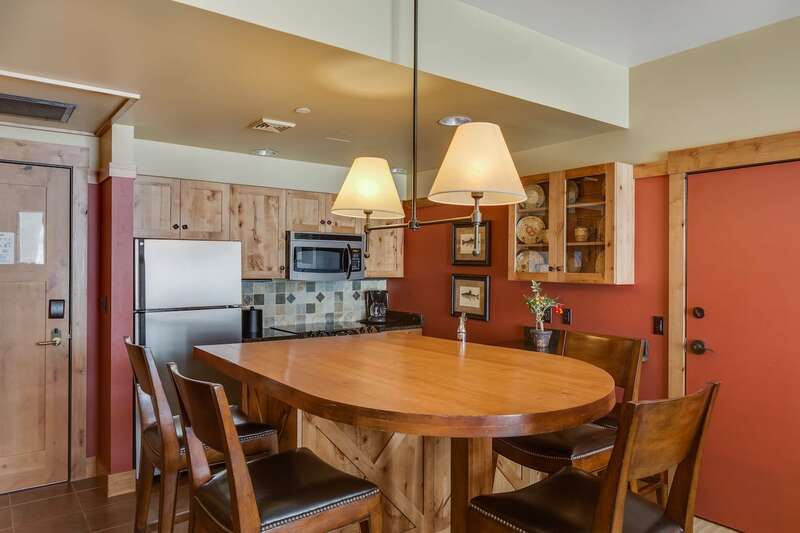 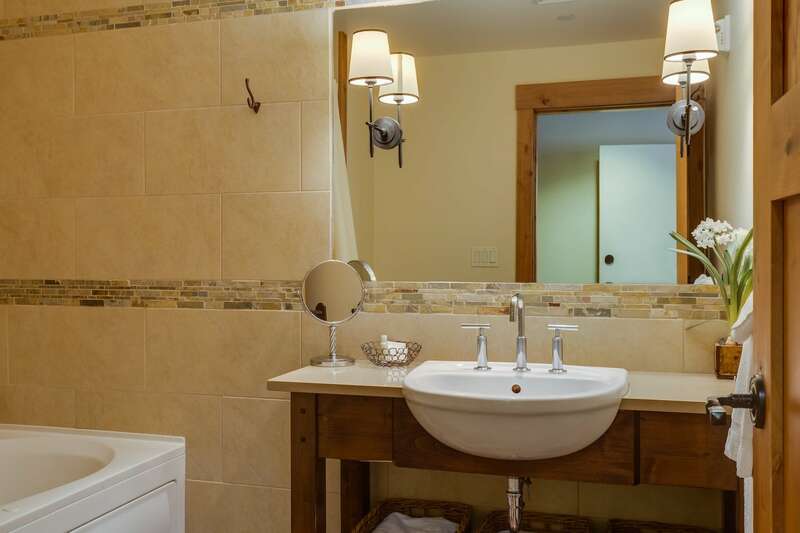 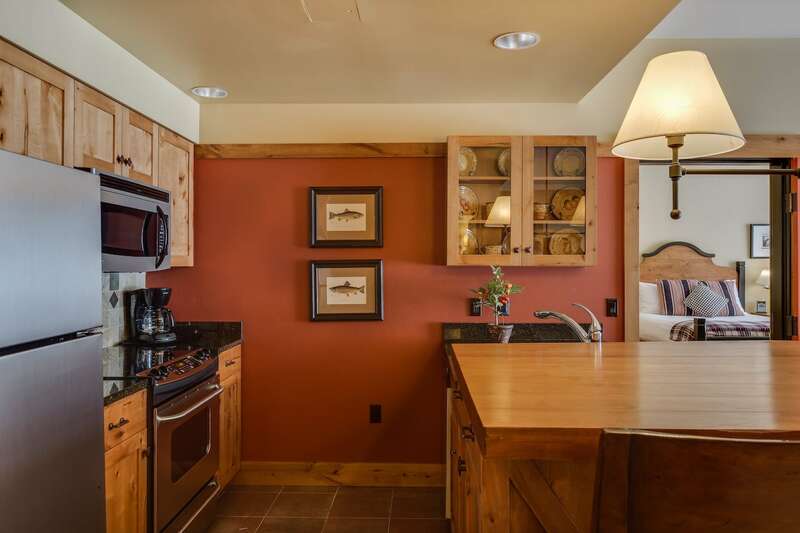 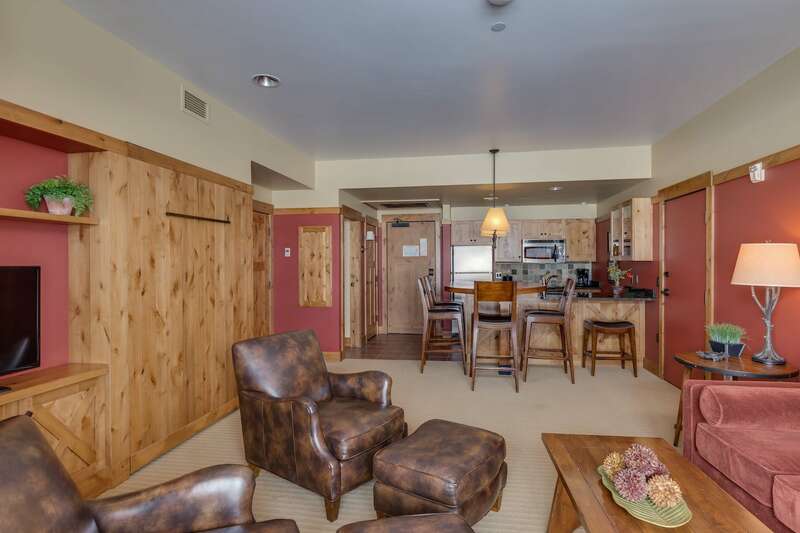 Altogether, the suite totals 2 bedrooms and 3 full baths, comfortably housing up to 8 guests. 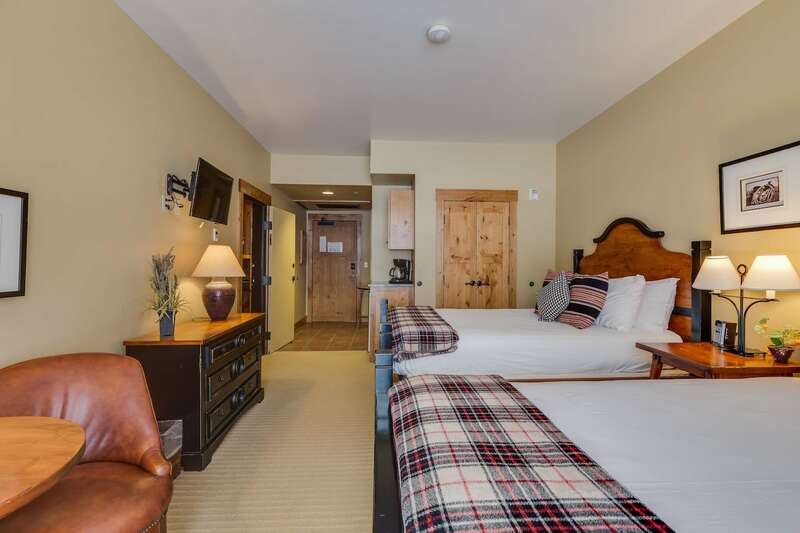 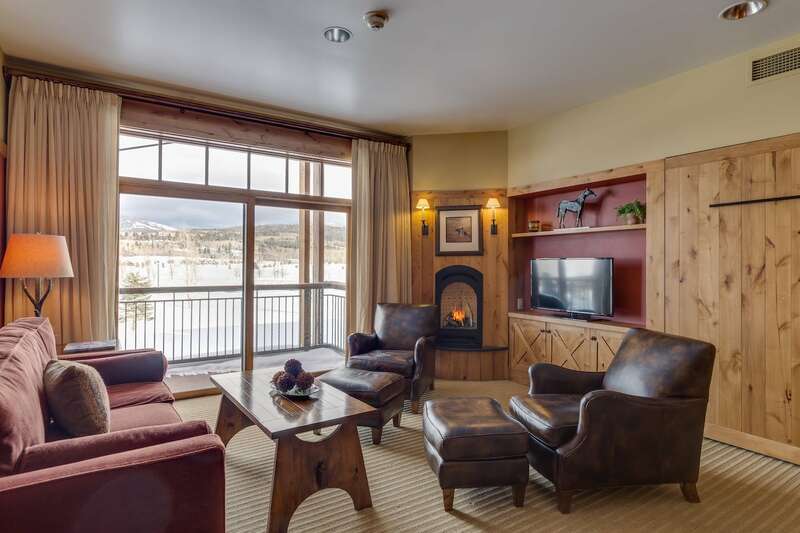 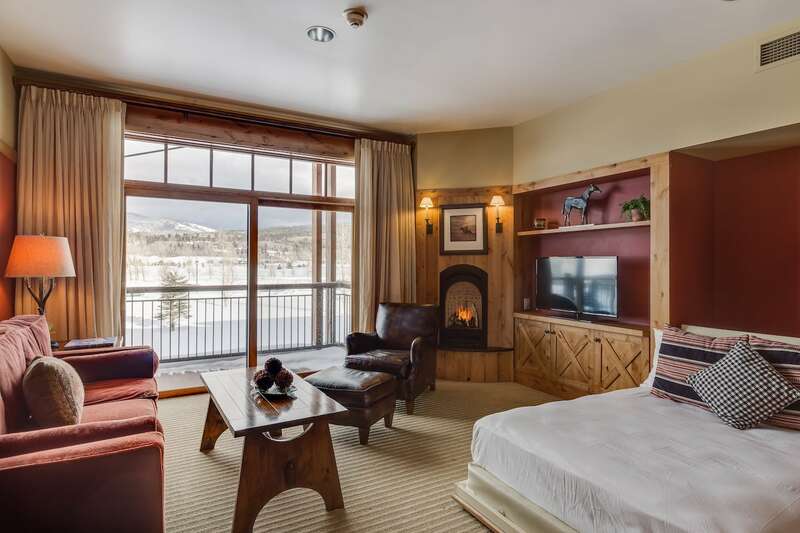 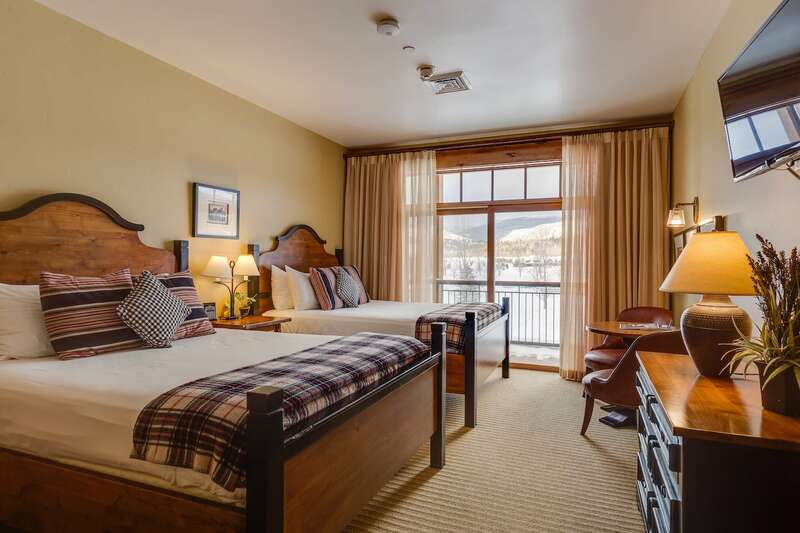 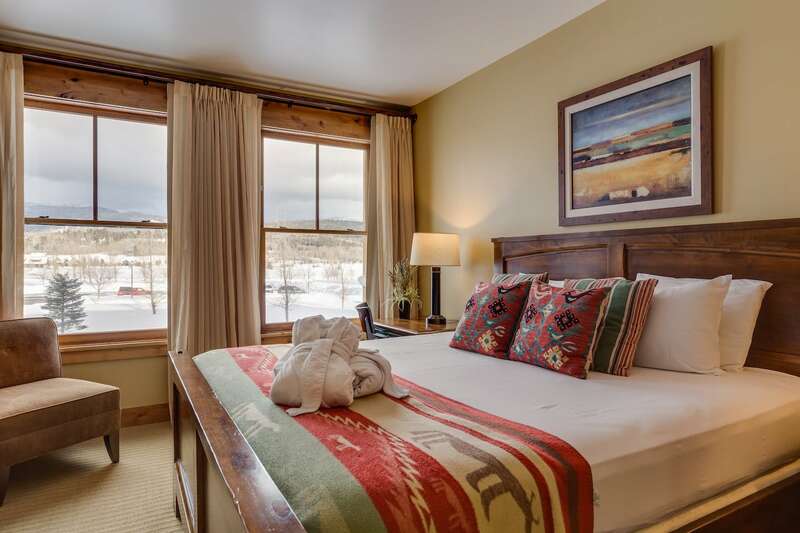 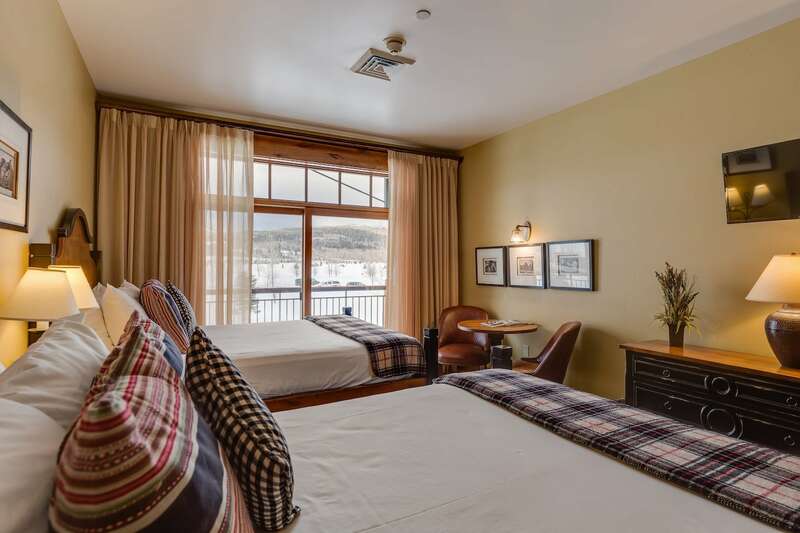 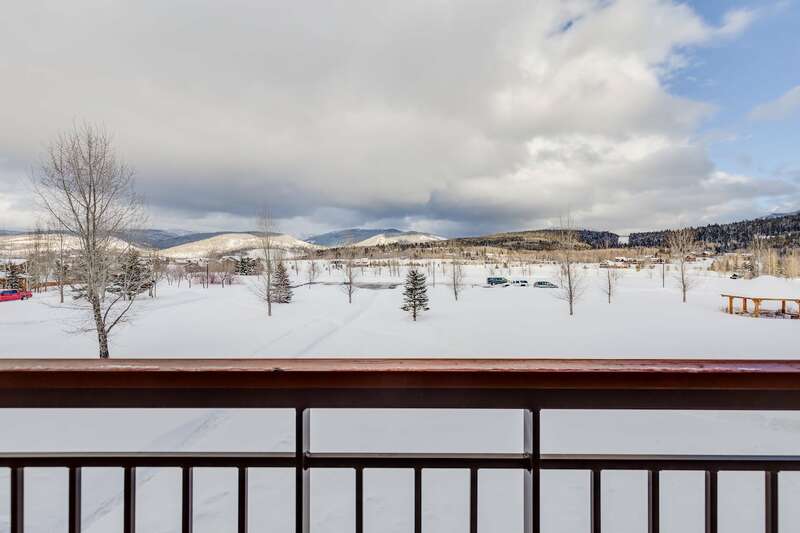 With two balconies and three flat screen TVs, you’ll never be at a loss for entertainment – and mountain vistas on three sides means there’s no such thing as a bad view at Teton Springs Lodge & Spa.